In September 2015, the South Korean company Kia has brought to the Frankfurt Motor Show its fourth generation Sportage crossover in a sports GT-Line version, with minor changes of in appearance and salon furnishings but with a new exclusively turbocharged engine in the engine compartment. 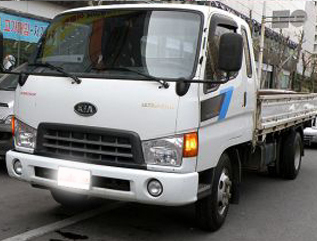 Externally Kia Sportage GT-Line differs from the standard version with a bulk grille painted in a glossy black color, four LED “guns” of fog lamps, metallic linings under the bumpers and two pipes of the exhaust system. The dynamic appearance is rounded out with the original 19 inch sport wheels. External dimensions of the updated crossover are as follows: 4480 mm long, 1645 mm high and 1855 mm wide. 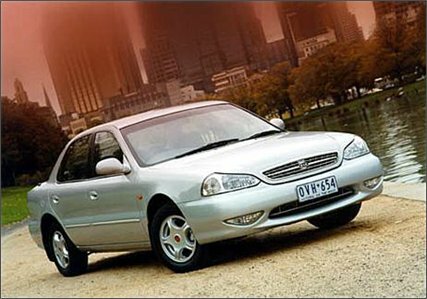 The wheelbase of the novelty reaches 2670 mm and the ground clearance equals 182 mm. 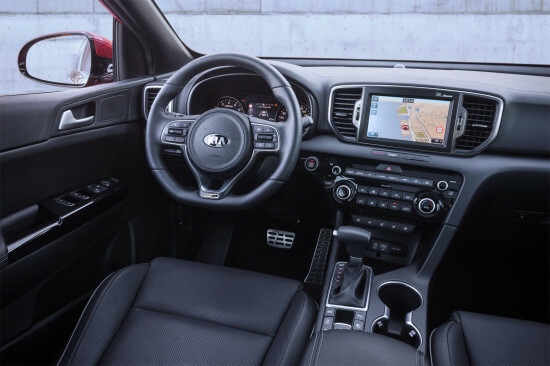 The Interior of KIA Sportage GT-Line is highlighted with a truncated from below sports steering wheel with gearshift paddles, chrome door handles, aluminum trims on the pedals, glossy “decor” front panels and a black-and-gray finishing. 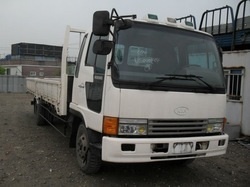 Overall, the interior of the novelty follows the basic model: modern design, five seats and a cargo compartment with a volume of 491 to 1492 liters. 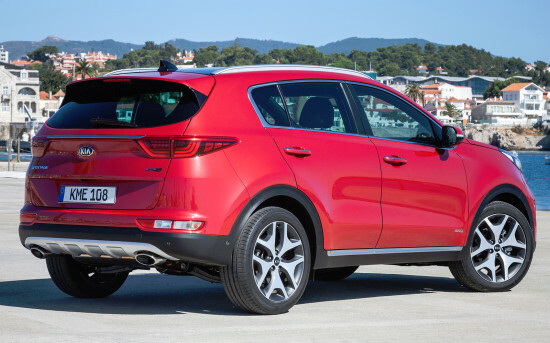 Kia Sportage GT-Line got two separate engines, each of which is equipped with all-wheel drive transmission with multi-plate clutch at the rear axle (and as for the indicators of agility and efficiency – they are identical to those of conventional versions SUV). The first unit is a gasoline 1.6-liter “Quartet» of T-GDI Gamma family with a turbocharger and direct power consuming, developing 177 hp at 5500 / min and 265 Nm of possible traction in the range of 1500 to 4500 rev / min working in tandem with a “robot” on the seven bands. The second is a CRDi turbo diesel engine with capacity of 2.0 liter and Common Rail system, generating 185 “horses” at 4000 / min and a peak thrust of 400 Nm at 1750-2750 rev / min. This unit is complimented with a 6-speed “automatic” transmission. 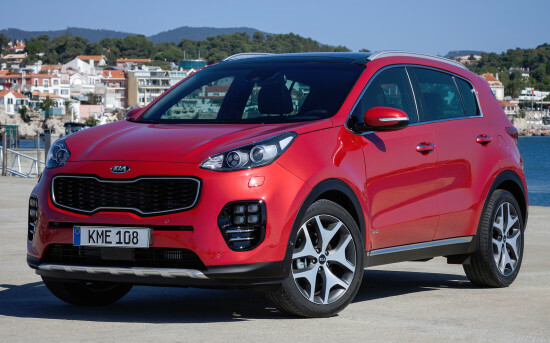 Technically Kia Sportage GT-Line differs from the standard “brother” only with a sporty suspension and steering settings. The remaining parameters of the model are identical: front-wheel platform, MacPherson strut front and the rear “multi-lever”, electric power steering and disc brakes on all four wheels with electronic “assistants”. KIA Sportage of the fourth generation in a GT-Line version is equipped with six airbags, leather interior, ABS, ESP, full electropackage, multimedia, navigation system, bi-xenon headlights, 19-inch wheels, blind spot and lanes monitoring system, collision avoidance assistant and a great number of other modern “chips”. 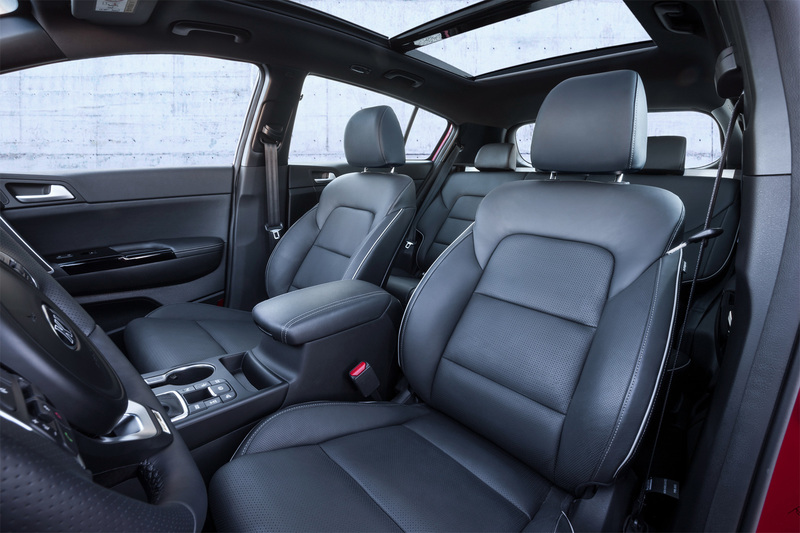 There are photos of the interior and exterior of the car KIA Sportage GT-Line category KIA posted on the site. 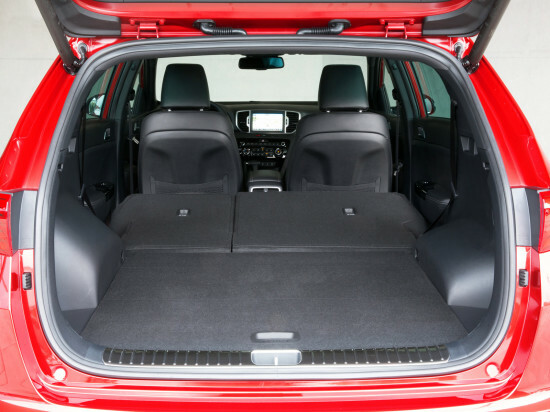 All photos of the car KIA Sportage GT-Line can be downloaded for free on the PC.